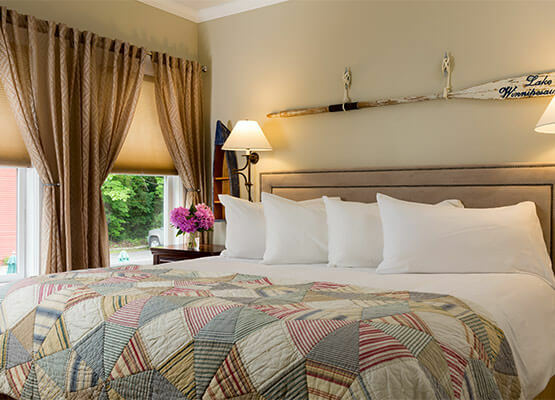 Memorable romantic getaways in New Hampshire await in our top rated boutique hotel. 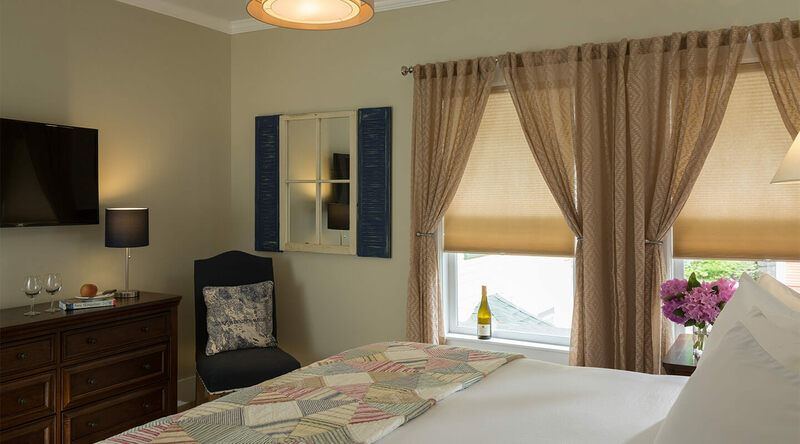 This upstairs room with king size bed overlooks a beautiful mahogany deck and the red barn. Decorated in greens and blues with vintage oar and Lake Winnipesaukee memorabilia. This room also features a private bath, ceiling fan and air conditioning.